Frodo has lost everything. His owner passed away from cancer and his newly adopted home had to give him up because they did not have the physical or financial ability to care for him. 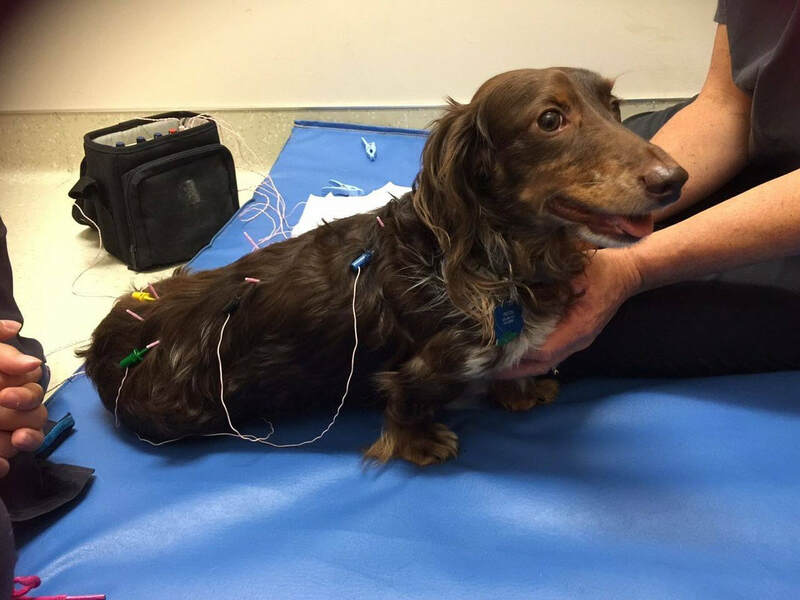 Please help Frodo to get where he needs to go to get the treatment he so deserves. This boy is a loving and gorgeous 6 year old boy who deserves to live a long and healthy life. He is a great candidate for rehabilitation. He will be walking and running soon if he can get the treatments. If everyone donates a small amount we can get Frodo to his new home with a wonderful family who has the ability and knowledge to care for him. Help give Frodo a chance! His owner passed away in January after a tough battle with cancer. And then soon after her husband was diagnosed with an aortic aneurysm. Before she passed she asked if we could help to find homes for her 10 dogs, if needed. We have been able to find wonderful homes for 9 of them. They are all doing fantastic. 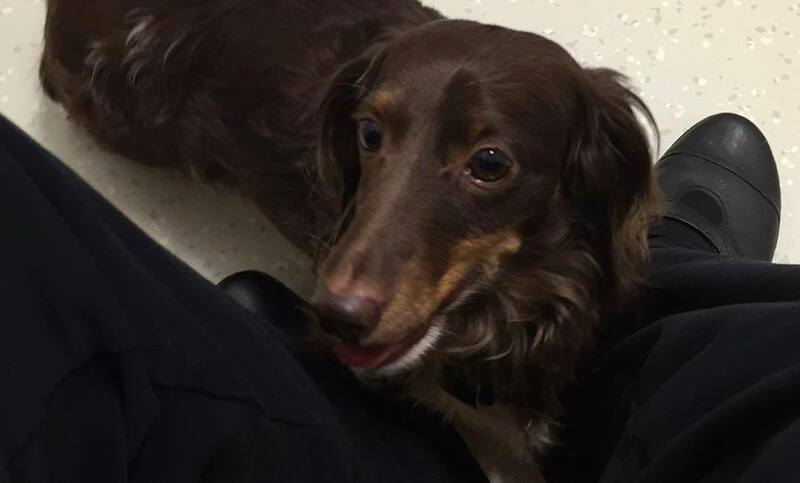 Sadly one of her boys a gorgeous 6 year old Longhair Chocolate Tan Dapple was adopted and soon after started having issues with his back and could not walk. This whole situation is sad and dear Frodo needs the treatment to bring him back to 100%. We have a home lined up for him if we can come up with the money for his treatments and transportation to her. 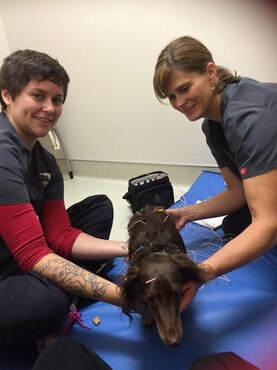 We are hopeful that all of our dachshund loving friends will help. This sweet boy deserves the best. 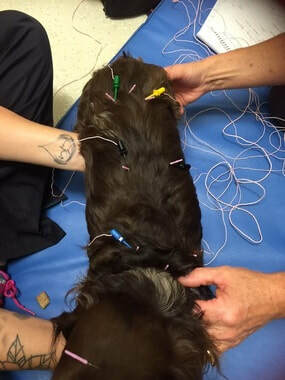 He needs 5 or more acupuncture treatments, teeth cleaning and updated shots plus the transportation costs to get him to his new home where he will be loved and cherished forever. We know that Patti is smiling down seeing her dogs getting what they need and deserve. Thank you Rebecca and Dr. Fehr at the Pilchuck Animal Hospital for helping us get Frodo on the right road, back to health. 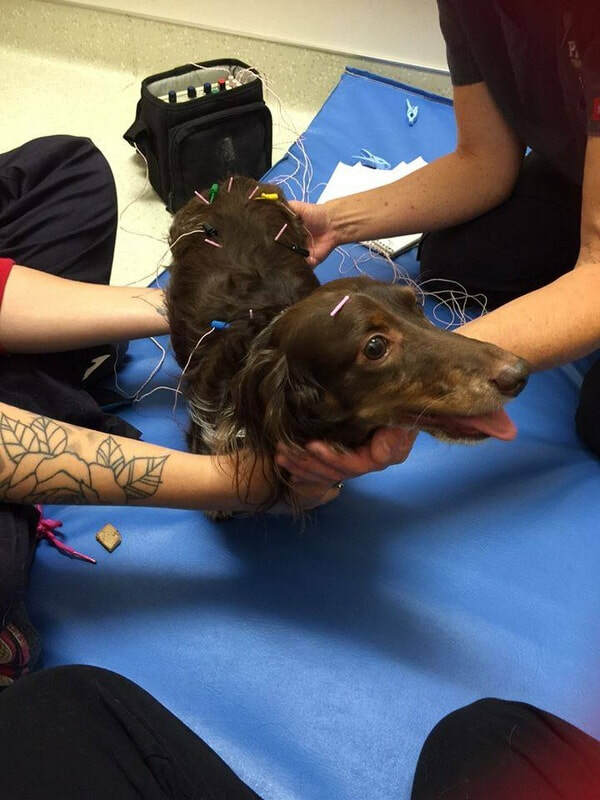 Frodo, having his acupuncture treatment.